NVIDIA Israel is seeking exceptional researchers in the field of deep learning. We are looking for candidates that have a consistent track record of research excellence; a broad perspective across the fields of artificial intelligence; and a depth of experience in machine learning and perception. NVIDIA is a world leader in high-performance and mobile computing technology for AI, with ambitious plans for future systems. This position offers the opportunity to have a real impact in a researched-focused team in a dynamic company. The lab focuses on basic research. As a research member of the lab, you will be publishing your work and share code open source. The lab is currently located near Tel-Aviv University to enable close collaboration with academia, and it will foster close relations with the academic community through internships, collaborations and joint projects with external institutes. 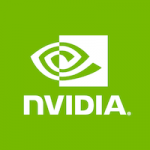 NVIDIA is well-known for its team culture, and as a research intern you will be working closely with others researchers in the team who are experts in machine perception and deep learning. Studies towards PhD or MSc in machine learning, machine perception, or a related area. Strong programming skills in Python and/or C/C++ . Fluency in modern deep learning toolsets such as TensorFlow or PyTorch or in CUDA is a plus. Strong communication skills, ability to work in a dynamic, research focused team. To apply for this job please visit nvidia.wd5.myworkdayjobs.com.